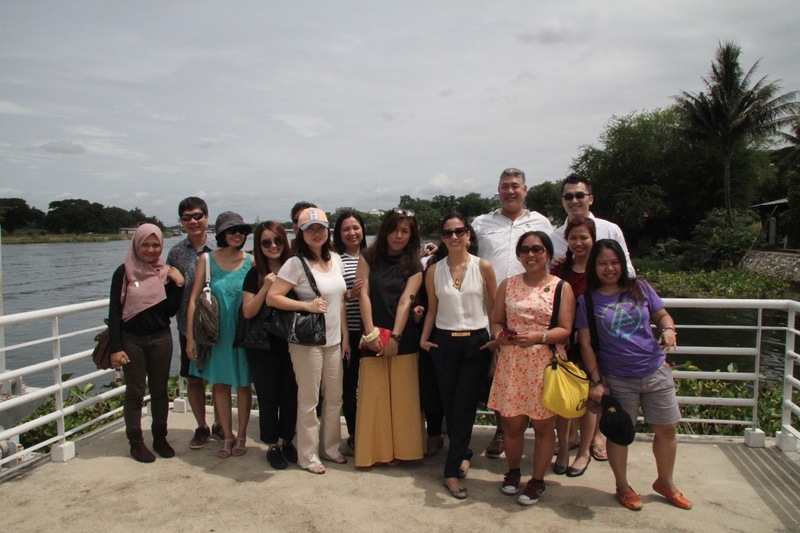 As part of Jonathan Phang’s Gourmet Getaway tour, two lucky Cignal and SkyCable subscribers won an exciting trip for two. 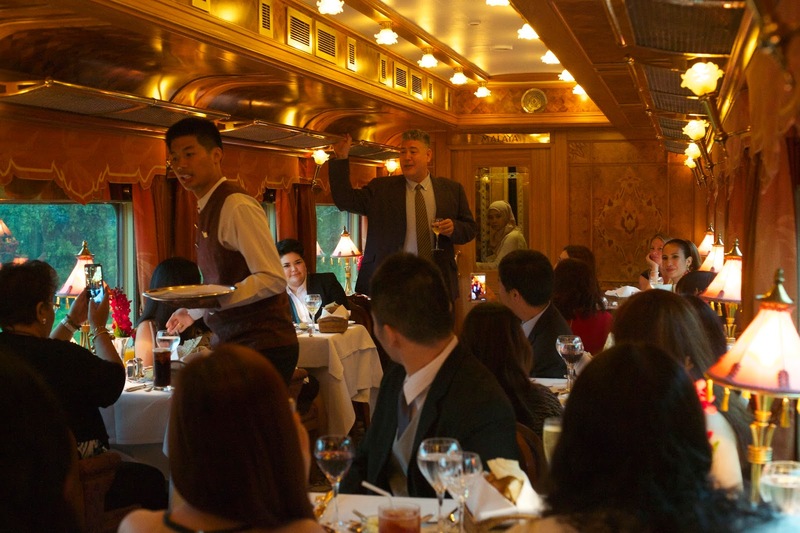 The winners were treated to a glamorous three-day train ride aboard the luxurious Eastern and Oriental Express, where they were hosted by Jonathan himself! 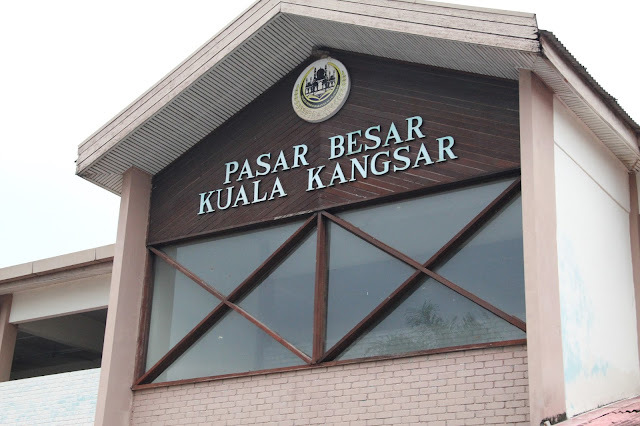 The trip took them across Singapore, Malaysia, and Bangkok, and included an exciting market tour at Kuala Kangsar, plus a special dinner specially prepared by Jonathan and the train’s executive chef, Yannis Martineau. 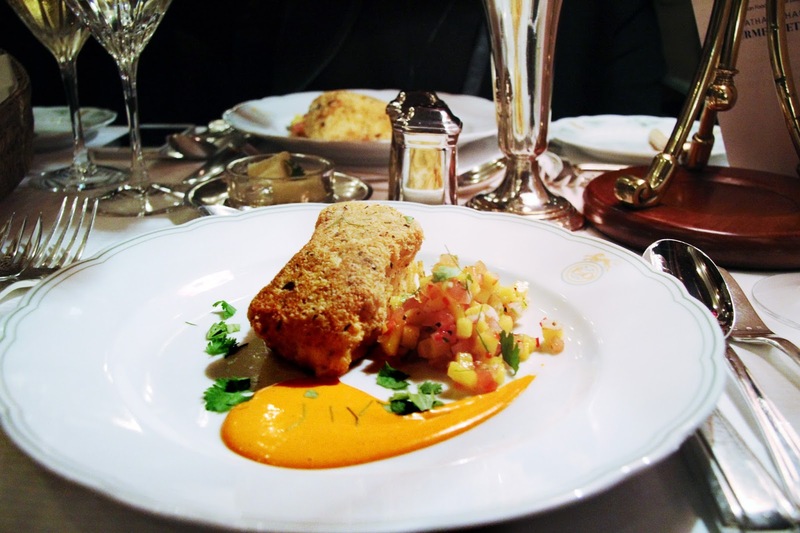 This once-in-a-lifetime trip was based off Jonathan’s own experiences on his hit television show Jonathan Phang’s Gourmet Trains. 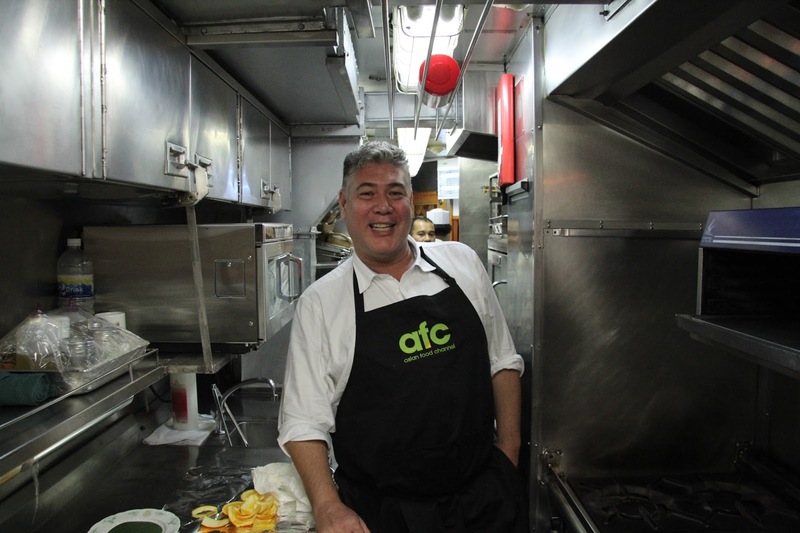 The unique program, which currently airs on AFC every Sunday at 3pm and 10pm, showcases Jonathan’s gastronomic travels around the world, all aboard the best trains! 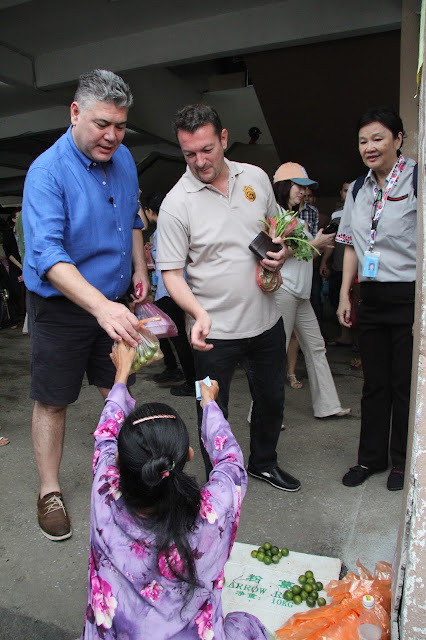 Bright and early on the first day, the lucky contest winners joined Jonathan and Chef Yannis as they visited the royal city, Kuala Kangsar’s local market. There they watched the two culinary geniuses, as they bought ingredients for the exclusive dinner to be held the following night. Along the way, Jonathan a die-hard foodie, dropped by a quaint little food stall known for their Roti and Teh Tarik. Roti is flat bread and Teh Tarik is a common hot milk tea drink. 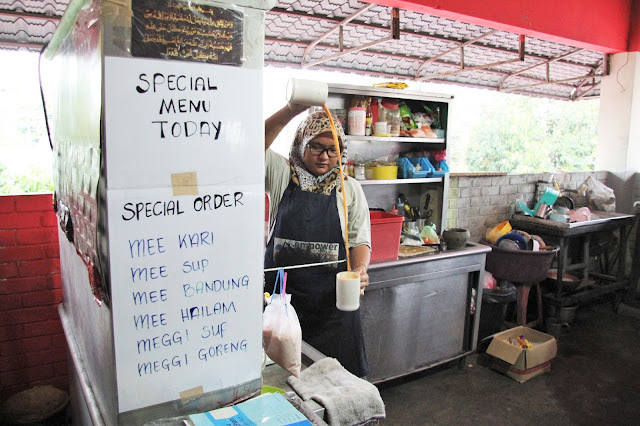 Although the Roti was already sold out, they didn’t leave empty-handed, as the shop owner shared how she made her Nasi Lemak (a fragrant rice dish cooked in pandan leaf and coconut milk) and her take on the traditional ‘pull’ technique for Teh Tarik. Before moving on, the group stumbled across a friendly Durian vendor, prompting everybody to have a bite before heading off. 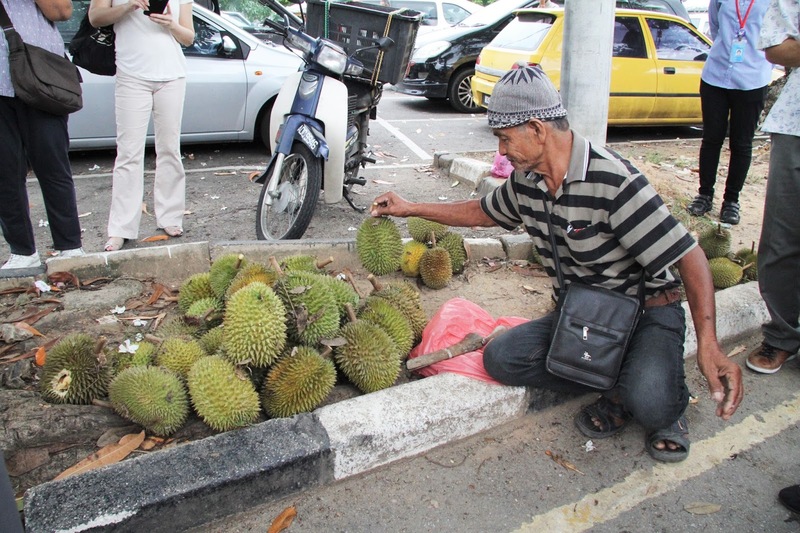 While Jonathan is no stranger to Durian, most of the group had never tried the fruit! 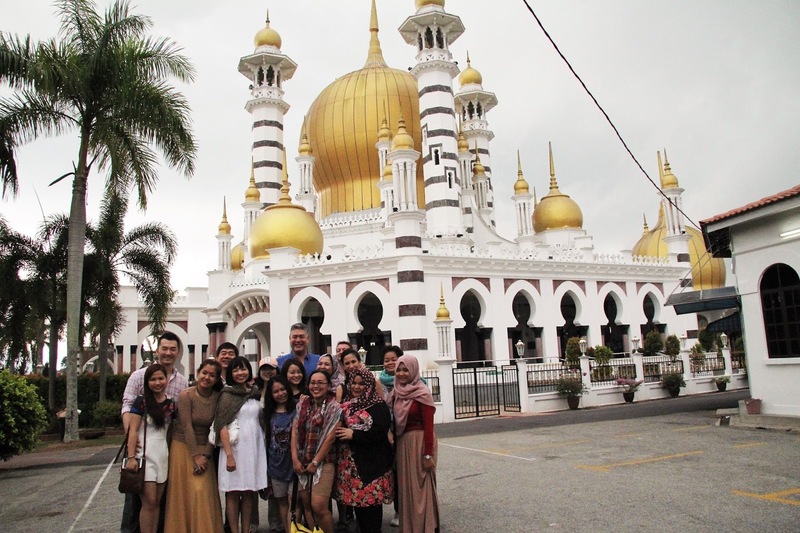 The next stop was the Ubudiah Mosque, which is Perak’s royal mosque. Deservedly ranked among the most beautiful mosques in Malaysia, the Ubudiah Mosque is a bright beacon in the sky with its golden dome and minarets. After snapping some souvenir shots, the group headed back to the train, ready to roll on to Thailand. 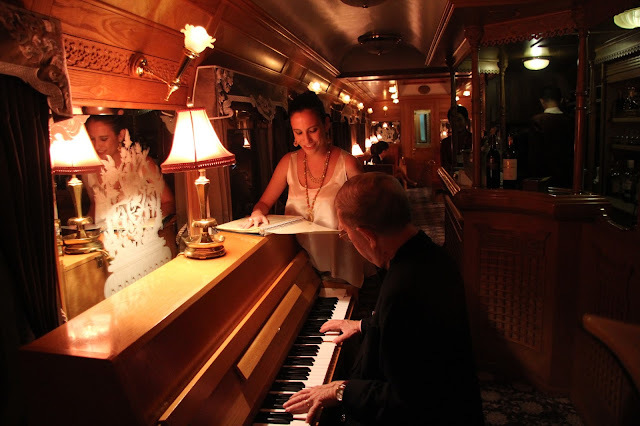 Later that evening on the train, everyone convened in the Piano Bar where the vivacious Jonathan led everybody in song. Television host Stephanie Zubiri from the Philippines , singing alongside Peter, the talented onboard pianist. The next morning, Jonathan and the winners set off to visit the River Kwai Bridge. This structure and the beginning of the nearby ‘Death Railway’, is a heartbreaking reminder of the thousands of lives lost during its construction in WWII. 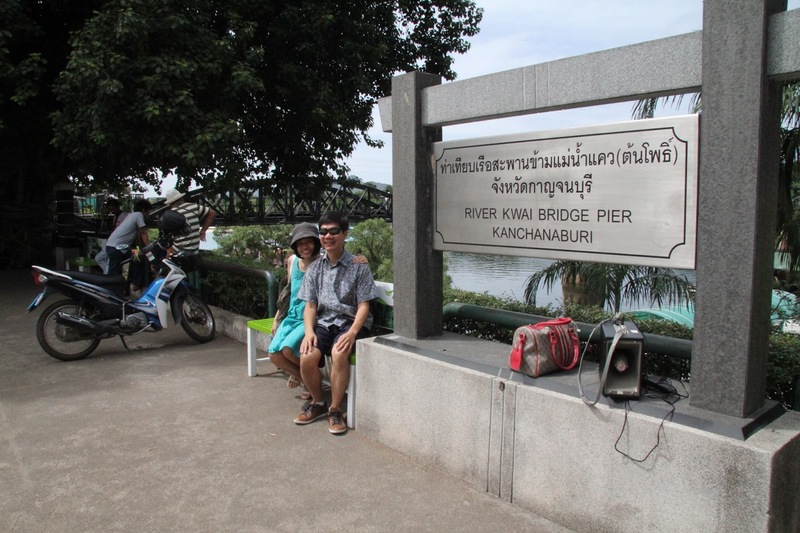 Before departing, everyone stopped to take a group shot by the river and take in the beautiful scenery. Back on the train, a traditional dancer from Thailand entertained guests as they sipped cocktails before the Jonathan Phang Gourmet Getaway dinner event. While his guests were lounging in the comfort of the Piano Bar, Jonathan was in the heat of the kitchen, preparing his menu with the skilled chefs from the Eastern and Oriental Express. Cooking in a moving train is not an easy feat with the minimal space and the constant jolts of the tracks. But the E&O chefs make it look easy as they move around their space with a rhythm and grace that echoes their experience. Excited and hungry, the dinner guests listened in anticipation as Jonathan explained the night’s menu. 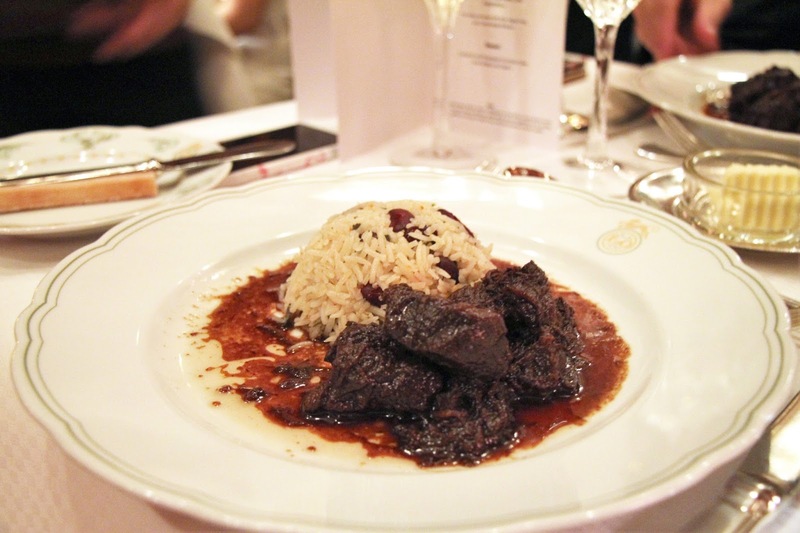 The dishes included were from Jonathan’s childhood, that are also included in his award-winning cookbook, ‘The Pepperpot Club’. 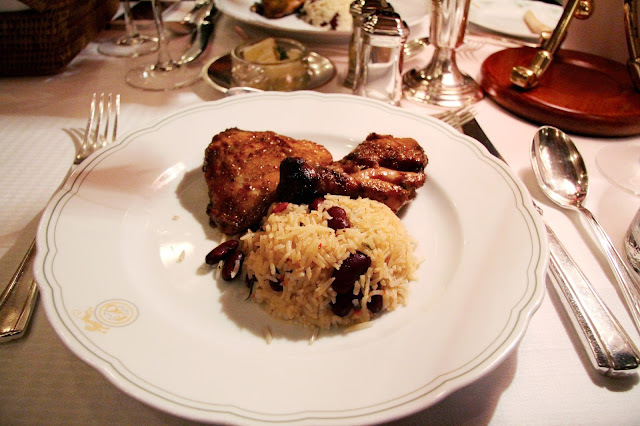 Main Course: Guests were able to choose between a Beef Pepperpot or Jerk Chicken. Each was served with Rice & Pigeon Peas and Vegetable Curry. Finally, the trip came to a close as the train pulled into Thailand. Even though the trip ended there, it wasn’t goodbye but rather till next time! Visit www.asianfoodchannel.com for more information about AFC’s programs and upcoming contests. 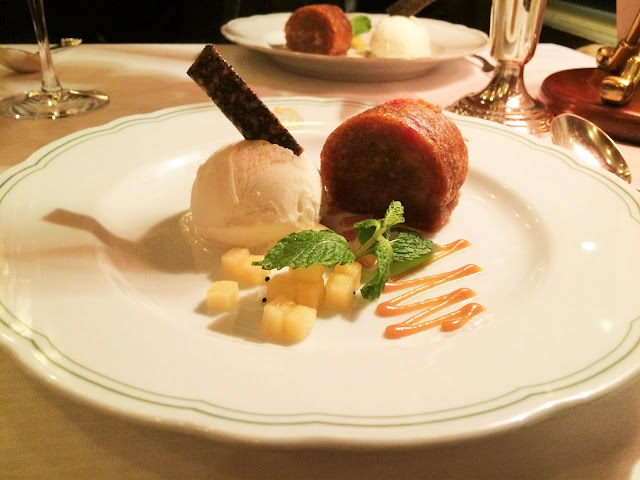 Jonathan Phang is back on board with brand new culinary adventures! 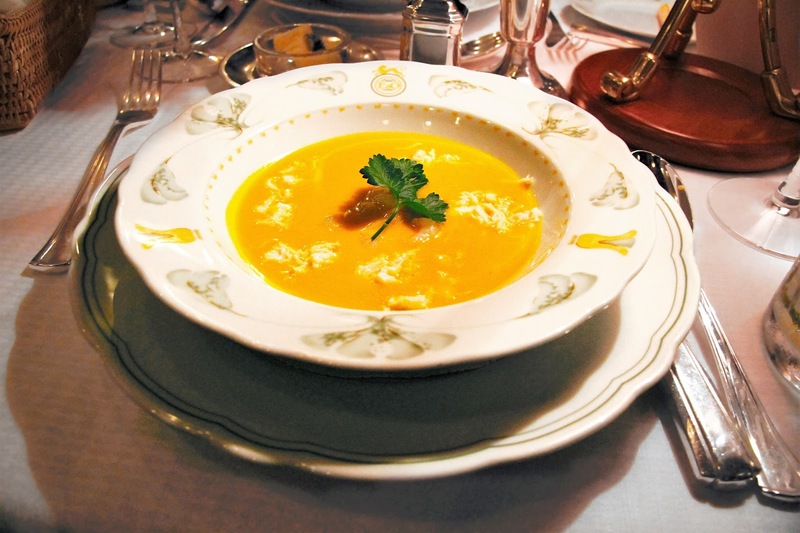 Immerse yourself in the romance of train travel, and re-live old world glamor while savoring the world’s finest dining experiences as Jonathan jumps on some of the world’s most luxurious trains through Scotland, Canada, Australia and Peru!